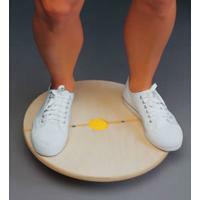 Constraint Induced Movement Therapy (CI) involves limiting the movement of the strong side and “forcing” the weaker side to attempt activities. Some of the original studies using this treatments had patients restrain their unaffected arms for 90% of waking hours (this can be done via a sling, mitt, or other restraining device) and had patients use their affected arm for 6 hours a day over a period of two weeks for daily activities. The research results for this type of therapy have been positive. Some clinics have used a modified version of this technique having patients use the affected arm for 3 hours a day over a longer period of time. Patients should have at least some minimal movement in the affected arm to try CI therapy. According to literature, requirements to participate in CI therapy usually are at least 10 degrees of wrist extension and 10 degrees of finger extension. The non-affected arm is usually restrained from three to six hours a day and the patient attempts to use the affected arm during this time. If the stroke patient can tolerate restraint of the stronger arm for 6 hours a day, then CI therapy is usually prescribed for 2 weeks. If the patient cannot tolerate six hours, restraint time is sometimes reduced to three hours a day but attempted over a longer period of time (e.g. a month or six weeks). CI therapy is hard work and may not be right for everyone, but a good concept to take from it is that you must use the affected arm if you want to see improvement. 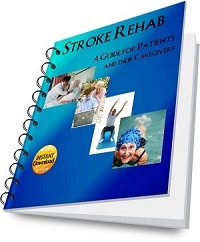 I can’t tell you how many stroke patients I see that never attempt to use their weak arm except during a one hour therapy session two to three times a week. This is not enough to help improve functional return in the arm or to make neuroplastic changes in the brain. Even if you do not try CI therapy, it is a good idea to attempt activities like those above on a daily basis with the weak arm. 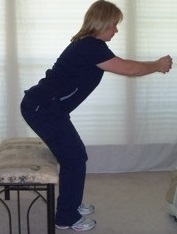 For more information regarding Constraint Induced Movement Therapy, one can visit www.citherapy.net.